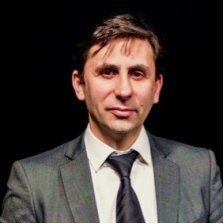 Dinis Guarda, CEO of Humaniq, founder and CEO of Ztudium has a Master’s degree in new media. His background is in international business, marketing, communication and web design. He has worked with many diverse organisations from start-ups, to Fortune 500 companies and small and medium enterprises, governments and international organisations such as the United Nations. He applies his vast knowledge and experience of running global management teams to setting new directions for businesses in a technologically fast-moving world.